I just spoke about Business travel and here I have an episode to narrate of just missing a potential stranded situation. After many days, and many a cancellations, I was bound to travel to a southern city earlier this week. The plan was simple. I fly out in the evening, spend the night in a hotel and return the next evening after completing my business in the city. A short sweet business trip, like the countless many I have had. This trip seemed to have been jinxed right from the word go! The trip planning begins about a month back. I was to visit three cities in a span of 10 days, and i book my tickets for some time in mid-November after confirmation to the stakeholders and aligning everyone. For once, I had made all the bookings well in advance. I had scheduled an action packed week. Alas! Like most of the planning, this was not to be and the trip had to be postponed due to some circumstances. All three trips had to be cancelled. While cancellation I was made to realize by the travel agent that the flight tickets to this south Indian city are not refundable and I could rather reschedule the trip for no penalty. Nice! I would hate wasting the company resources, and once again after aligning the requisite stakeholders I reschedule my trip to the first week of December. One night before the travel day, I happened to meet a friend who was visiting from the same South Indian city. We had dinner together and caught up with each other’s lives and work. It was a wonderful evening and the background thought all the time was – I am to visit his city the next day. What a coincidence! On the day of travel, I pack my bags in the morning ensuring I have all the essentials to cover myself from both the sultry hot south Indian weather and winter wearing for my return to Delhi back, the next night. I was all prepared. I had booked a cab for myself a good two and a half hours before the take-off time. The last meeting gets extended and give an internal signal to myself. Half an hour more and I leave, even if the meeting is not done. Two hours before the take-off time is good to reach the airport and complete all the check-in formalities. The meeting is done right in time, and I pack my laptop and head off to the airport. Here I get a mail from my colleague announcing that the business in the city has been postponed and I could cancel my ticket. What? Not again! I decide to go on and finish the other part of the business and push for this first meeting to be scheduled the next day. I sure could postpone my trip by a day. I so did not want to postpone this already delayed trip. The traffic on the way to the airport is bad even during this time of the day. Pity people who ply on this road everyday especially during the peak hours, I think to myself. The phone rings, and a quick chat later I realize the reason for the postponing of my scheduled meeting. I was now unnerved. Is it really that bad? I call up my colleague and check the situation. She gives no hope! I am still on the way to the airport. Now, with potentially all my meetings getting cancelled there is no reason I need to go to Chennai. But would I get a refund on my air tickets and the hotel? I have already web checked in to my flight. But what do I do after getting there? Battling these thoughts in my mind, i am suddenly shaken by the jerk of the car. He has taken the turn to the airport. I have less than 5 minutes to be deciding. I call up the hotel and check if I could cancel my booking. 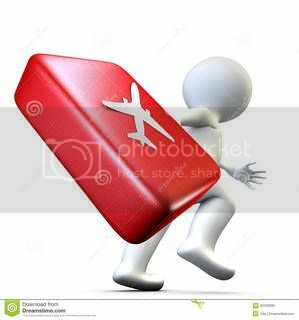 I would not want to waste so much money – flight and the hotel! After a brief wait, they confirm that the room would be cancelled without any penalty. Awesome! I ask them to hold on. Now it is the flight cancellation. I call up the travel agent incessantly but to no avail. What do I do? The cab enters the departure terminal at the airport and halts. The driver looks at me, and in a moment I signal him to go on. He looks at me in a confused manner and I speak, “Wapas office le chaliye” (take me back to office). He is still confused and gives me a puzzled look. He turns to look in the front and drives out of the terminal. The travel agent is still not reachable. The decision has been made. I tell the reason to the driver on why we are returning. He now seems convinced. I make calls and announce my return. Still not sure if I have made the right decision. Should I have carried on and pushed my way through the meetings? Maybe. Or maybe not! It probably would not have been worth it. Nevertheless, no point thinking now. The decision has been made. I return back to office and walk to my Manager’s cabin – “I returned back from the airport”, I exclaim, telling him my reasons. I then head straight to the travel desk. The guys give me a puzzled look. The next day morning I get a news alert on my iphone – “Chennai Airport shut for the day due to rains”. Pictures start flowing all day of the inundated city with water logging everywhere. The news alert in the evening – “Chennai airport to remain shut till Sunday”.